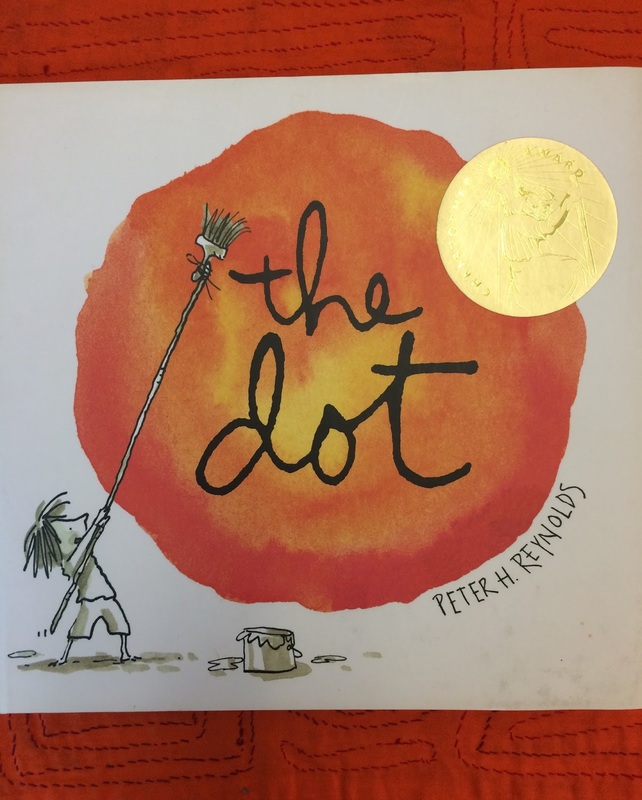 the dot by Peter H. Reynolds is such a relevant story to read to students during their first art class. For my students it set the tone for the year instilling a positive message to always give it a try, do your best and don't be afraid to be yourself. After all each student should come to art class feeling uninhibited and eager to enjoy the process of making art. In addition to reading the dot we looked at other books as well such as The Sky by Ariane Dewey we observed the linear pattern the birds created in the sky. I will back track by saying that I had introduced a dot as a line going somewhere. 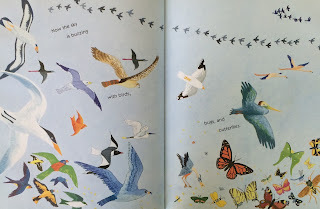 Throughout this story we observed the many types of line created in nature. 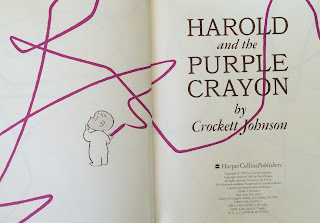 We also looked at the story HAROLD and the PURPLE CRAYON by Crockett Johnson. This story reinforces the concept of a dot as a line going somewhere. 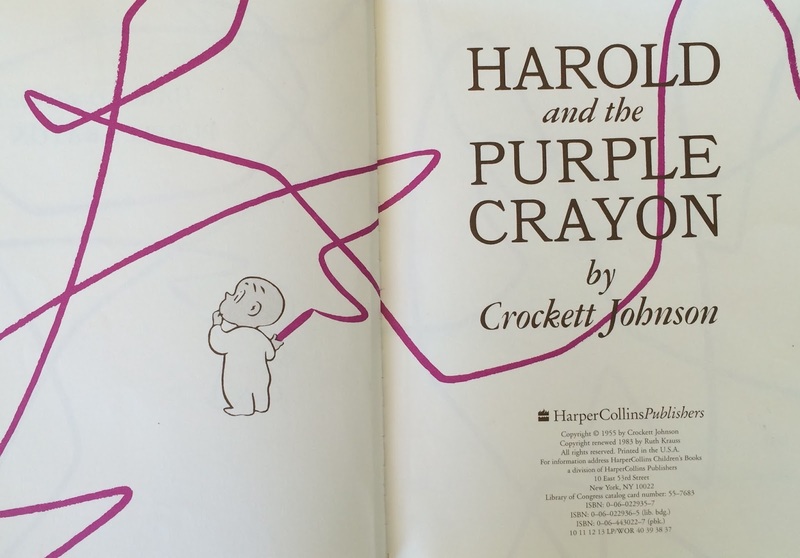 We all agreed that Harold had quite an imagination and traveled far and wide creating lines with his purple crayon. Paint and paper were set out for the students to use to create their own paintings beginning with a dot. The results were quite varied just as I had hoped they would be. 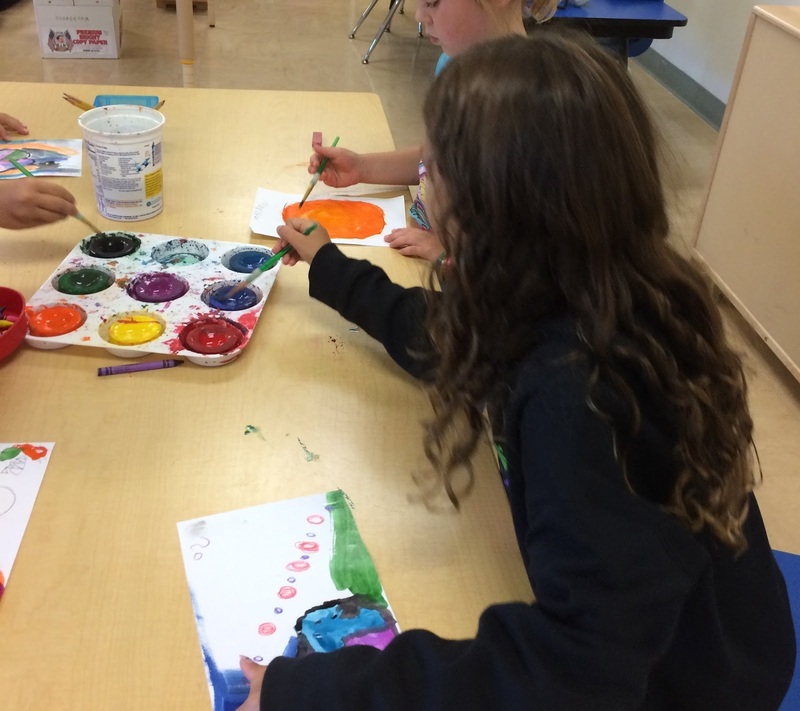 We're on our way to a happy and creative new school year in the art room! Thank you Peter H. Reynolds for the inspiration.